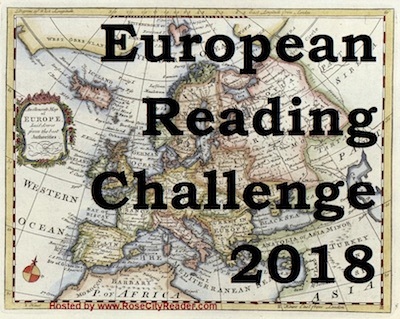 This is my wrap up post for the 2018 European Reading Challenge. The goal was to read and review five books set in different European countries and by different authors. I enjoyed reading these books and will be signing up for this challenge in 2019. My biggest problem is getting books reviewed but I made an effort to get most of the books that I read for this challenge reviewed. I have linked the title to posts if I wrote one, otherwise I have included a short summary and comments. 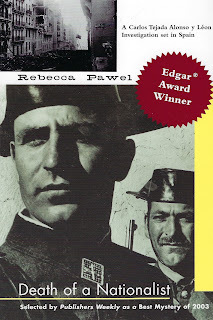 The hero, Rex Carver, visits many countries in this adventure, but he spends a good amount of time in Yugoslavia (1960s) in the area which is now Croatia. The first part of the book is set in Salzburg, Austria; 2nd and 3rd parts are mainly in Budapest, Hungary. Also some of the 2nd part takes place in Israel. The story begins with a woman discovering a body while walking on a river bank with her young daughter. The woman is Eva Magnus, and soon we learn that she is also linked to another unsolved case, the murder of a prostitute. The police get to work on figuring out how the two cases are related. 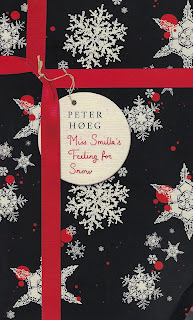 I enjoyed this first book in the Inspector Konrad Sejer series very much, although I found the ending quite sad. The second Inspector Montalbano mystery, set in Italy, part of a long-running series. Montalbano finds a cave filled with artifacts and the bodies of two young lovers who have been dead for 50 years. 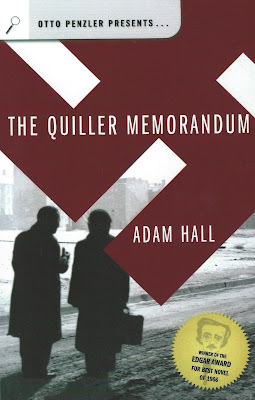 I had read the previous book in the series but had forgotten how much of an independent loner the inspector is. The story is very complex. Set in Dublin, this novel features Frank Mackey, a Dublin detective working in the Undercover department. Frank returns to his old neighborhood and the family he left 22 years earlier to investigate a possible crime. Another great story by this author, my favorite of her books ... so far. Is that 14 books? You did really well and covered a lot of different countries. I read 8 for the challenge, will do my wrap-up post next week as I'm away for several days later in the week. I was amazed when I wrote this post up, Cath. I did not realize I had done that many countries. I look forward to your wrap up post. Barring the UK, my reading of authors from continental Europe has been extremely poor. It's one of my reading goals this year; perhaps two to three books to start with. Prashant, I would have liked to have found more translated crime novels, where the author is writing about their own country, but I loved every book on this list. You have a nice selection here, Tracy. And I like it that you've chosen from several different places in Europe. You've also reminded me that I want to put a Victor Canning novel in the spotlight. I need to do that. Victor Canning is a favorite author and I do hope you do a spotlight on one of his books, Margot. I did not get to as many eastern European countries as I would have liked in 2018 and hope to do better in that area in 2019. I'll have to see if I can do as well with my 2019 participation. I still need to read something by Victor Canning. Victor Canning is definitely worth a try, Col, although he has written several different types of books. I may have run out and need to look for more of his books. What a list. I really love the way you put your challenges together Tracy - admirable. I really got into this challenge, Moira, and hope I can up the number of countries in 2019. Thanks for doing a wrap up post! With 14 countries, you are in the running for the Jet Setter Prize! I'll announce soon. I enjoyed reading books for the European Reading Challenge, Gilion, and will be joining in again this year.